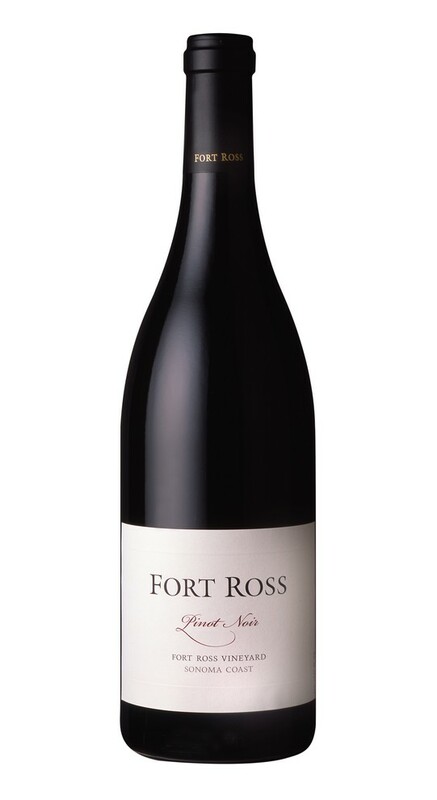 From our mountain vineyard on the “True Sonoma Coast”, Fort Ross Vineyard & Winery produces limited quantities of single vineyard, Estate grown, cool-climate Pinot Noir, Chardonnay and Pinotage. Overlooking the Pacific Ocean less than one mile away, the vineyard is divided into 30 blocks, one-half to two acres in size, that rapidly fall from 1700 down to 1200 feet above sea level. Owners, Lester and Linda Schwartz, and their small crew began preparing the 50 acre vineyard in 1994. It took them 4 years of preparation before they could begin planting the first vines in 1998. 2009 was an excellent year for the early ripening Pinot Noir and Chardonnay on the Sonoma Coast. The year began with a warm January but soon turned cold. The year was generally cooler than usual throughout the major part of the growing season and this coolness gave the wines their vibrant character. In the 3rd week of September there was a heat spike that concentrated the flavors that had been teasingly on the verge. The entire vineyard was harvested in four exhausting days to capitalize on the even ripening, intense flavors and luscious fruit. All grapes were harvested and in barrel before the damaging rains of October. Jeff Pisoni. The grapes for this Pinot Noir were handpicked during the cool hours of the night in 5 gallon buckets. After hand sorting, the fruit was cold soaked for several days and fermented in a combination of 5 and 10 ton tanks. The caps were punched down 1 or 2 times per day, depending on the stage of the fermentation. The wines were then barreled in a combination of 30% new and 70% used French oak. Throughout the 10 months of barrel aging, the clones and different vineyard blocks were kept separate to maintain their distinct flavor profiles and structural components as blending elements. The wine was bottled unfined and unfiltered.